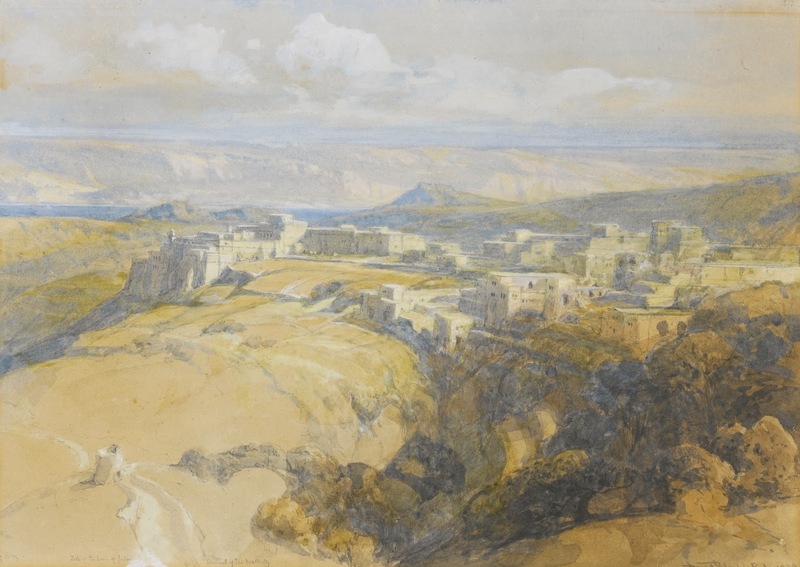 The Scottish artist David Roberts made his first visit to the Middle East in 1838-9, which resulted in his best known work, a set of 247 coloured lithographs of The Holy Land, Syria, Idumea, Arabia, Egypt & Nubia, published 1842-1849. He was one of the first independent and professional British artists to experience the Orient at first hand. 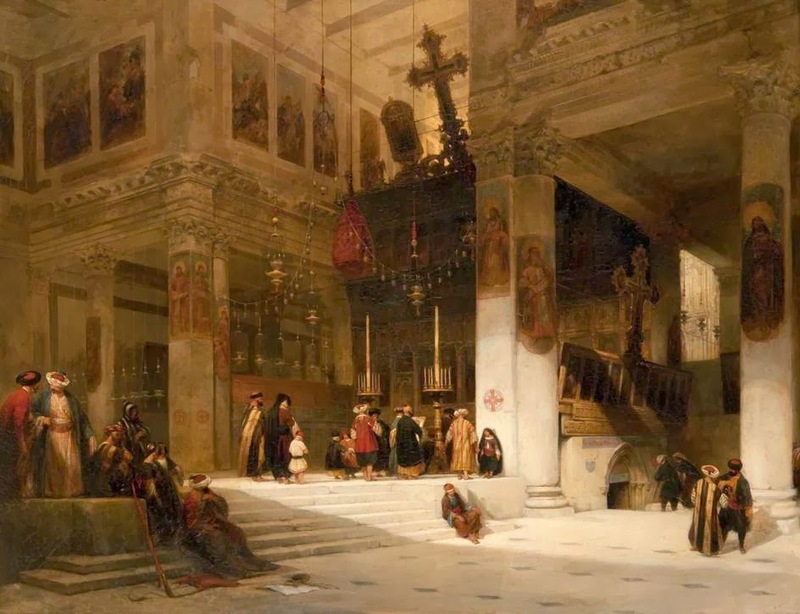 ""While I was sketching the Church of the Nativity, a man arrived from Jerusalem with the sacred fire which the priests say comes from heaven; and the whole of the Arab Christians turned out to receive him, carrying banners and headed by their priests." In his homily there he described his visit to Bethlehem ("The House of Bread") as "the heart of my Jubilee Pilgrimage. The paths that I have taken lead me to this place and to the mystery that it proclaims." "In the cave of Bethlehem, to use the words of Saint Paul in today’s Second Reading, “God’s grace has been revealed” (Titus 2:11). In the Child who is born, the world has received “the mercy promised to our fathers, to Abraham and his descendants for ever” (cf. Lk 1:54-55). and peace on earth to those whom he loves” (Lk 2:14)"